Sea Vixen Tackle Company is proud to announce their sponsorship of the 44th Annual Cape Fear Blue Marlin Tournament. This event, which will run from May 31 until June 3, is part of the North Carolina Governor’s Cup Billfishing Conservation Series and is held in Wrightsville Beach. This tournament, which has become one of the highlights of the Coastal saltwater fishing season, attracts both anglers and spectators from around the region and boasts an impressive line-up of events at various Wrightsville Beach locales. During the Saturday evening awards ceremony, held at the Wrightsville Beach Marina, high dollar prizes will be awarded in numerous categories including Daily Billfish, Heaviest Meat fish and Blue Marlin Bonus. Although the company’s main office is on Wrightsville Beach, Sea Vixen Tackle Company’s manufacturing plant, or “Lure Lab”, is located nearby in Murrayville Station. The Team is dedicated to offering new offshore lures and other products while sharing the knowledge they’ve gathered during their countless hours on the water researching and developing their tools. These original, custom creations have been tweaked and perfected and are now available at their storefront and online at www.seavixentackle.com. For more information visit the website or call Sea Vixen at 910-367-9841. 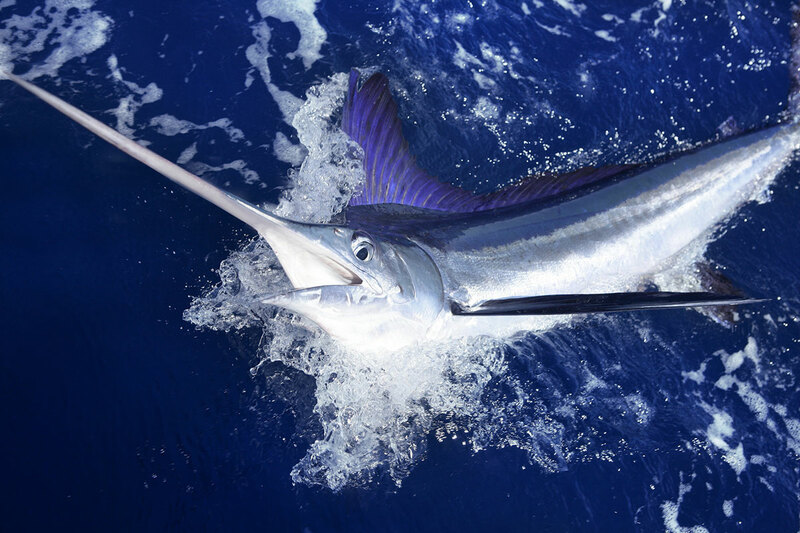 If you have any questions about the Cape Fear Blue Marlin Tournament, including questions regarding directions, regulations, or registration, you can contact organizers at 910-256-6666, 910-262-5566 or email info@capefearbluemarlintournament.com or jriggs@bluewateryachtsales.com.